An advantage of working with Northrop & Stradar, P.C. is that our wide experience enables us to provide clients with a combination of informed judgment and creative solutions. Our business and corporate attorneys regularly advise companies and their management teams in all major activities including formation, daily operations, contract drafting and negotiation, non-disclosure agreements, acquisitions and divestitures, loan transactions, and financing growth. Joint Ventures & Strategic Alliances – Structure and negotiation of strategic alliances, joint ventures, licensing and distribution arrangements, technology sales, etc. Mergers & Acquisitions – Both domestic and cross-border acquisition transactions, negotiated acquisitions and divestitures, stock or asset purchases or sales, reorganizations and recapitalizations. Representation of Franchisees – General Corporate Representation of franchisees, including negotiation of purchase and sale of franchises. General Business Entity Representation – Formation, preparation of by-laws and operating agreements, daily operations and issues, drafting and negotiating employment, consulting, distribution, manufacturing and supply, license and stockholder agreements. Bank Counsel – Representation of banks and lending institutions in connection with residential and commercial lending. Estate Planning & Elder Law – Inter-generational tax and estate planning, asset preservation, health care proxies, and powers of attorney. Estate Administration & Probate – Counsel and representation concerning probate of a will, administration, or the manner in which a trust is administered. Business Succession – Assuring that a family business is transitioned to the next generation in an efficient and tax conscious way. Surrogate’s Court Proceedings – Representation of individuals, trusts, estates and closely held businesses in all aspects of commercial controversies and intra-family disputes. Northrop & Stradar, P.C. serves both corporate and individual clients in connection with the acquisition, development, financing, leasing and sale of commercial and residential real property. Commercial & Residential Transactions – Purchases and sales of commercial and residential properties, land for development, drafting and negotiation of design and construction agreements, partnership and joint venture agreements. Land Use & Municipal Zoning Law – Representation before planning and zoning boards, reciprocal easements, options and ground leases, counseling regarding property tax, land use regulations and environmental matters. Business Startup & Formation – Assistance in selecting the most appropriate business entity. Preparation of articles of incorporation and organization. Drafting by-laws and operating agreements. Guidance on corporate reporting and record keeping requirements including corporate governance issues, fiduciary and legal responsibilities of the board of directors or managers, as well as general corporate management issues. 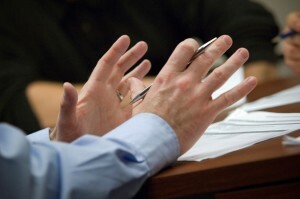 Drafting and negotiation of owner buy-sell agreements.